HUAWEI, the largest telecom infrastructure maker in the world recently launched the sequel to its celebrated Y series. 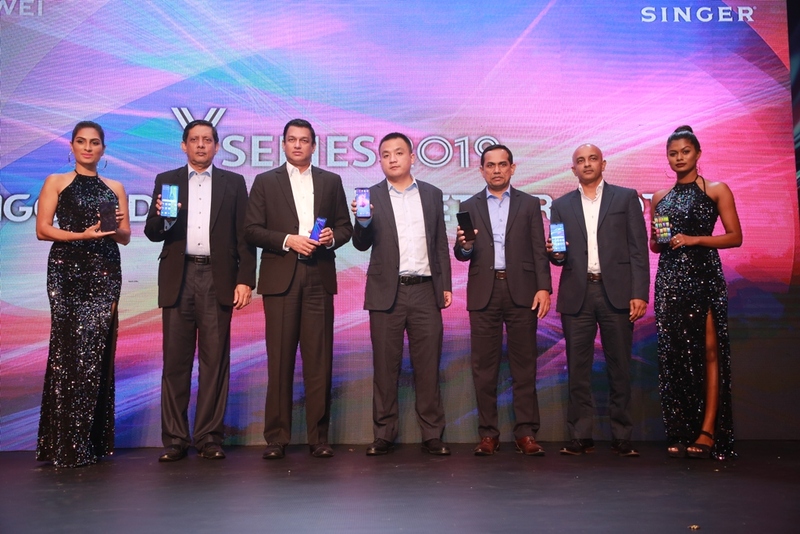 Huawei Y series 2019 was launched in Sri Lanka at an event held in Hilton, Colombo. The series includes HUAWEI Y9 2019, HUAWEI Y7 Pro 2019 and HUAWEI Y6 Pro 2019 devices. The company has encapsulated the series with the key words of “New Generation Dew Drop Display, Stylish Design with trendy colors and AI Camera”. Huawei Y9 2019, has presented itself as the champion of the series with a 6.5 Inch screen, which is the largest full view screen on this range, the high resolution of FHD+ (2340*1080) and the customizable notch system which cannot be adjusted in any competitor devices in the market in this range. The device is available in trendy colors of Midnight Black and Sapphire Blue. The youthful design of the device range is further enhanced with the High Class ceramic glass material and the 3D ARC Design. The photographic abilities are a true treat for a user with the introduction of the “first Quad Dual AI Camera with 4000mAh battery” (Rear 13MP + 2MP / Front 16MP + 2MP) in this range, Smallest Aperture of F/1.8, Best Low light Photo on this range and AR photography. The performance of the device is enhanced with AI Power Management, GPU Turbo, Game Assistant 2.0, Fingerprint 4.0 Version and Face Unlock.